Please send me a quotation for Samsung SF 760P Toner & which place collect the item. Thank you for your question. Please follow the below link to find all available products for the Samsung SF 760P with their current prices: https://www.cartridgesave.co.uk/toner-cartridges/Samsung/SF-760P.html Unfortunately, we do not have a retail counter so all orders are shipped for delivery straight to your door. I just bought a Samsung SF-760P printer. I need to use it as a fax machine, may I know how many pages of fax confirmation I can print from each toner? The genuine black Samsung MLT-D101S cartridge that works in your SF-760P fax machine will print approximately 1,500 pages based on 5% coverage. 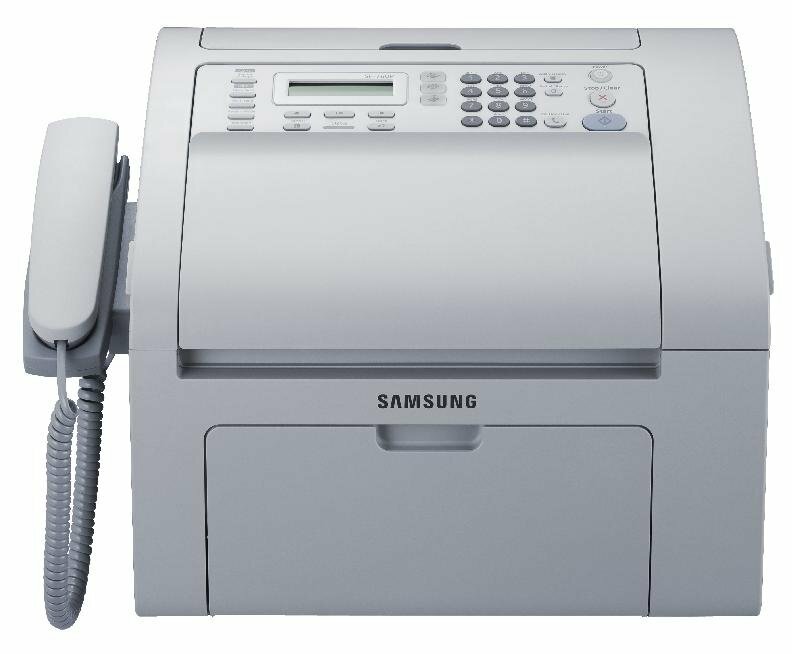 The multifunction Samsung SF-760P has a copier, fax machine, printer and scanner. This all-in-one unit has the body of a fax machine and also comes with a handset. The Samsung SF-760P fax machine has a monthly duty cycle of 20,000 pages and delivers output with a 1200 x 1200 dpi resolution. Print and copy speeds are a bit slow and duplexing can only be done manually. The basic Samsung SF-760P fax printer comes in a clean and professional white colour. It has a handset and a large control panel with an LCD display, numeric keypad, and function buttons. The paper tray on the bottom can handle 150 sheets while the automatic document feeder can handle 20 sheets. For connectivity, a USB port is on the back. The unit weighs 6.34 kg and measures 426 x 280 x 260 mm. The black Samsung SF 760P fax toner yields approximately 1,500 pages and has the manufacturer part code MLT-D101S. This multifunction fax machine takes up little space yet does 5 functions. It delivers good quality output and has clever features such as multi- and delayed send plus fax forwarding and collation copy. The Samsung SF-760P mono laser fax machine is compatible with Windows, Linux, and Macintosh operating systems. The user-friendly SF760P laser printer also comes with an ADF . Limited media can be scanned as colour CIS method is used instead of the traditional flatbed. The Samsung SF760P multifunction printer does not offer an automatic duplexer and paper handling capacity cannot be expanded. There are other multifunction printers that can deliver output faster than the Samsung SF-760P laser fax.